Hello! It's Michelle here with a tutorial. When I am lacking inspiration to make a page, I like to browse different sections of Pinterest for color or design ideas. I came across this particular pin and it really caught my eye. 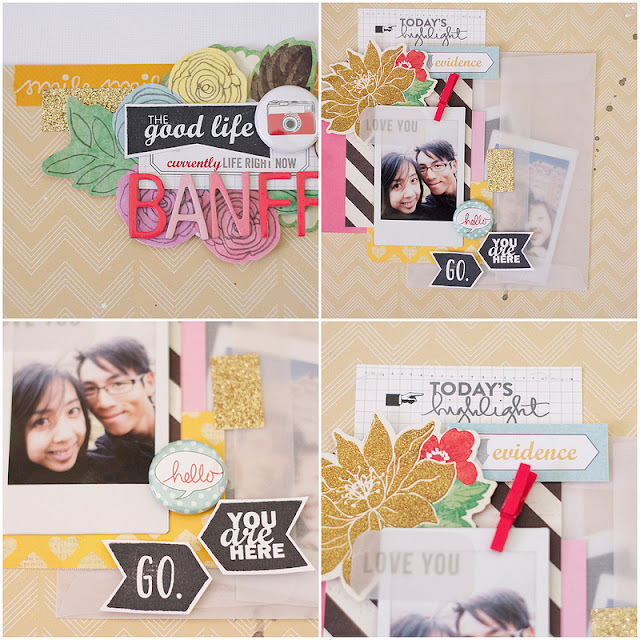 This tutorial will show you my process for taking inspiration from a pin and turning it into a page. I really like how all of the different elements and colors work together in this mood board. 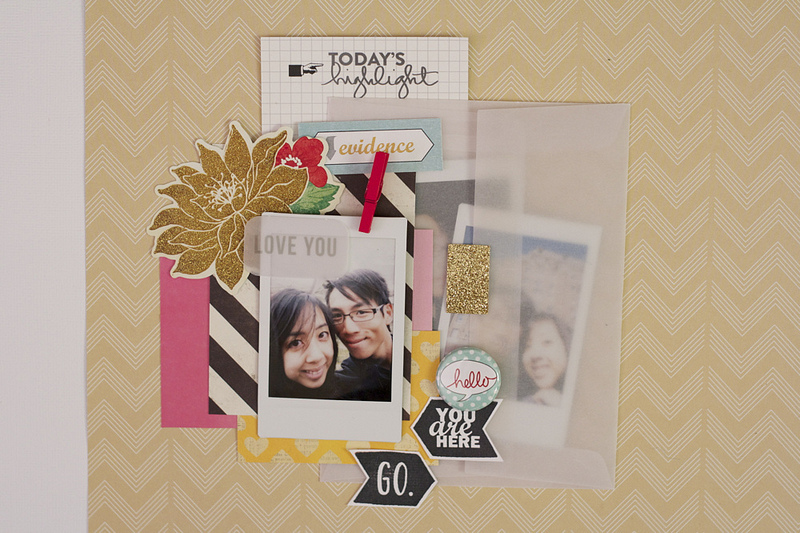 The elements that I chose to focus on are the black/white contrast, the gold glitter, the floral theme, the glassine/vellum envelope, and the polaroid photos. To start, I selected some patterned papers I thought would work well. 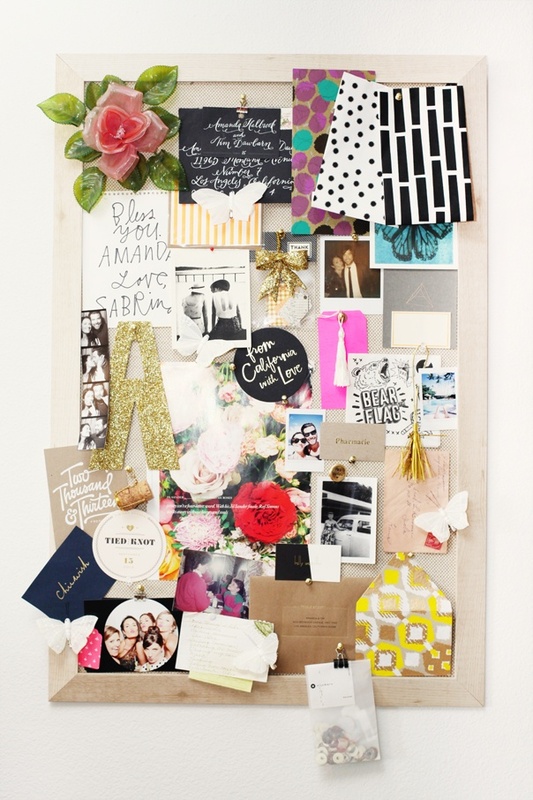 I chose a few floral prints, hot pink, and black/white to match the themes in the mood board. 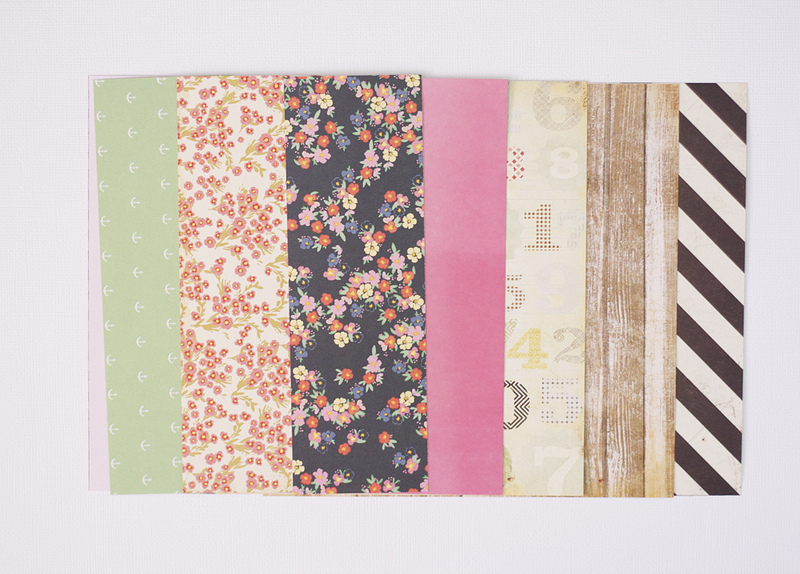 The other papers were more neutral, but I thought they would work well with these bolder colors and patterns. As you can see in the end photo of my page, I didn't end up using all of the papers. Then, I went through my stash for possible embellishments. To continue with the bold black and white contrast, I stamped some of the Evalicious stamps with Staz On ink for a crisp, dark image. 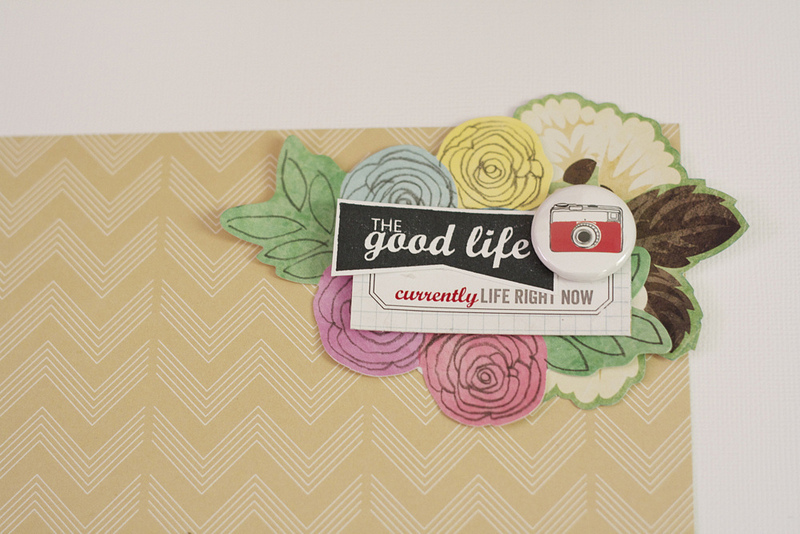 I also took out some floral die cuts, a journaling card for layering, badges, and paper tags. I wanted the paper tags and badges to add pops of color. Again, I didn't end up using everything, but these were the main items I selected from. 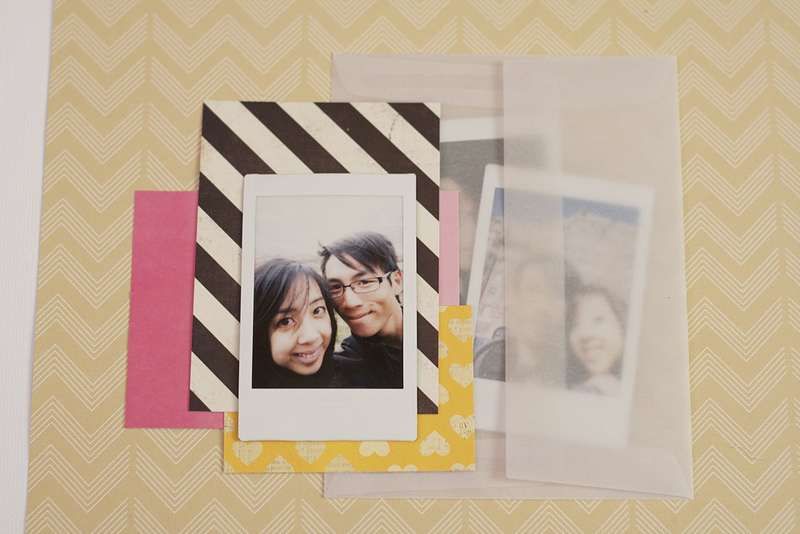 I decided to place two of the photos inside the vellum envelope. To make it easier to open the envelope and access the photos later, I placed it vertically so that I could layer without covering the flap completely. 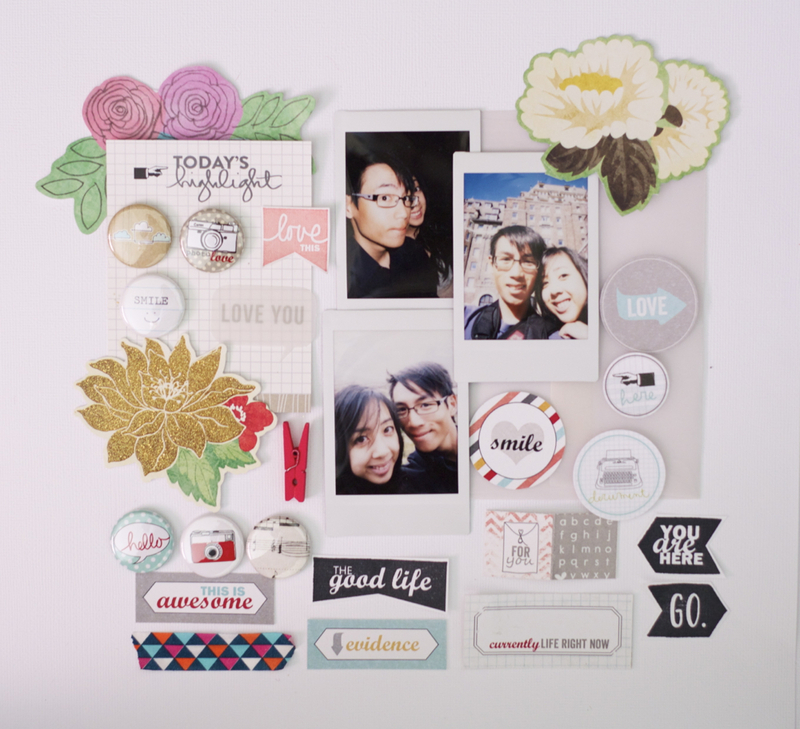 I tucked a small tag behind the photos for hidden journaling. The inspiration pin had pops of hot pink and yellow, so I decided to focus on those colors along with the black and white contrast. Since the instax photos are quite small, the smaller-scale of the 6x6 papers didn't overwhelm the main photo. Because the main cluster of photos and layers is in the bottom left corner, I added some embellishments to the top right corner to balance the page. I also try to balance out the types of elements. For example, I tried to repeat the floral die cuts and the black/white contrast in both the main cluster and the top cluster. In the next photo, you can see that I used pink thickers, yellow washi tape, and gold glitter tape to repeat those elements from main cluster as well. This is the finished page. To add some interest to the background, I took out my mists and sprayed some white to lighten the kraft, some gold to the center of the page, and some grey ink splatters in a diagonal line. As I started to adhere the layers down, I made slight adjustments to the placement of the embellishments. I used foam adhesive for the die cuts, paper tags, and stamped images to give the page more dimension. At the very end, I added shine-stitching to add some texture. Here are some detail shots of the final page. Thanks for taking a look! I'd love to see your work inspired by Pinterest images in our shopEvalicious Flickr pool here. Awesome tutorial, Michelle! 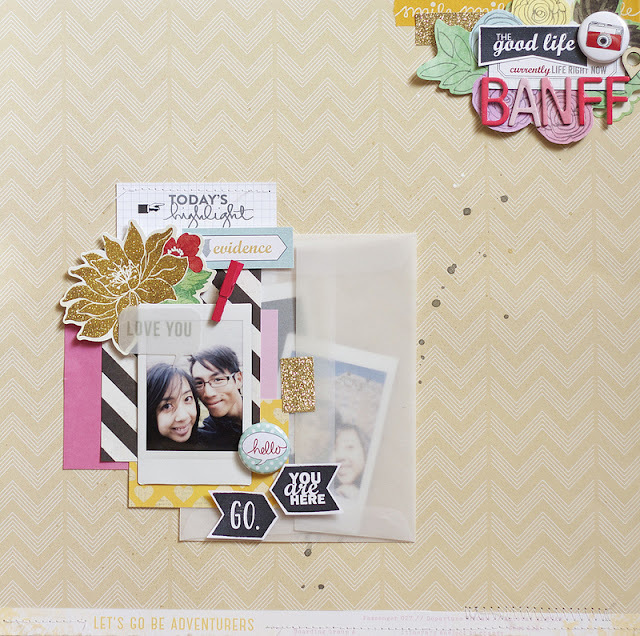 Love the layering. WOW. Lovely! Loved your process!